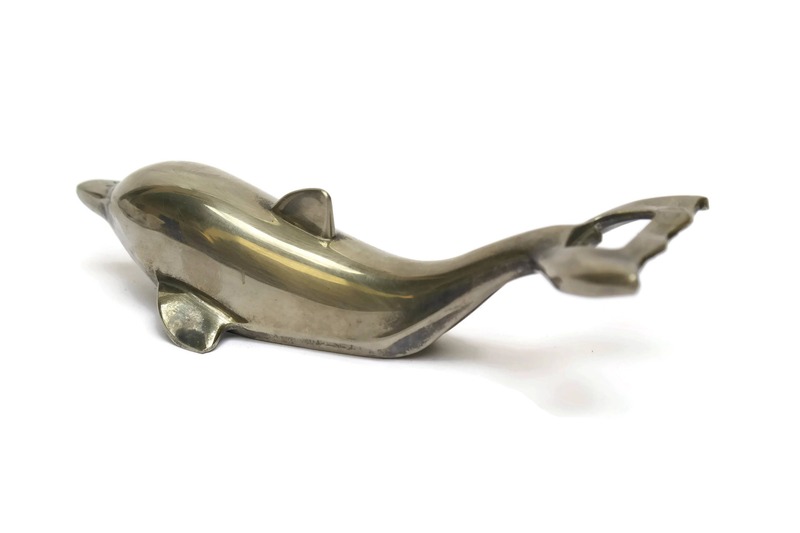 A vintage French beer bottle opener created in the form of an elegant dolphin. It has been cast from metal and chrome plated. 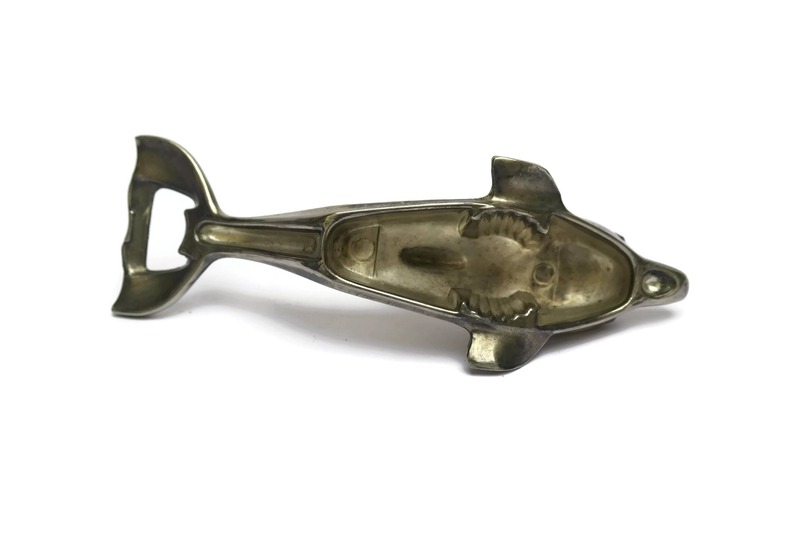 The opener features a bottle cap opener on the tail and an opener for twist lids on the underside of the figure. 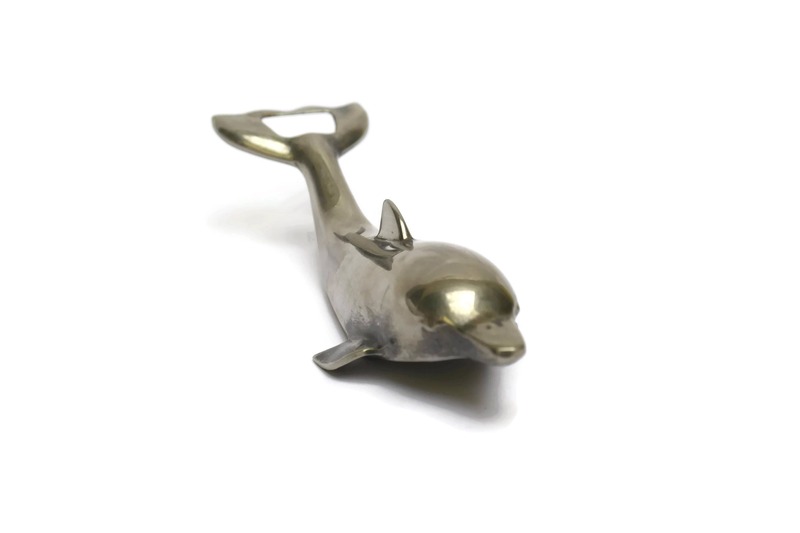 It will make a great addition to your barware or nautical decor. (16,5 cm x 6 cm). 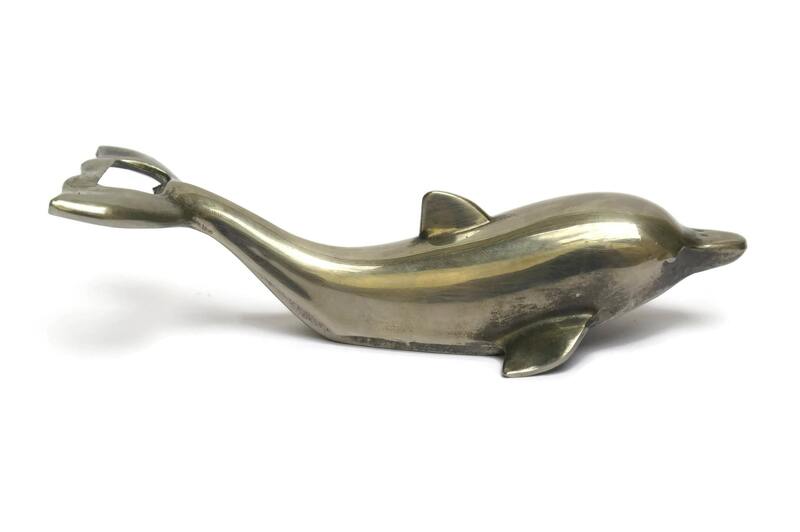 The bottle opener is in good vintage condition with patina and light wear to the chrome plated metal. 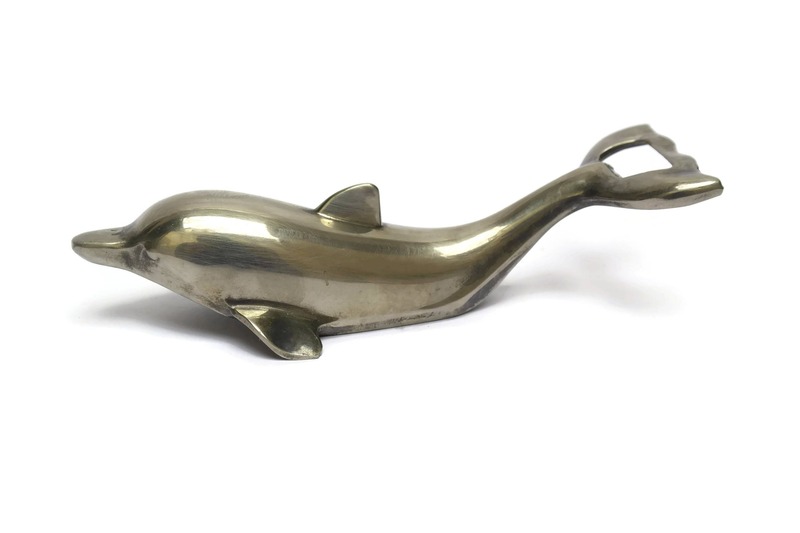 Weighty and wonderful vintage bottle opener with a stunning silver sheen. This shall grace my bar and provide whimsy with function. Fantastic.